Rest and refresh at the award-winning Comfort Inn and Suites hotel in Branson, MO. A recipient of both the Choice Hotels Preferred Platinum Award and the Hotel of the Year Award, this 100 percent smoke-free hotel is near Mansion America Theatre, Branson Landing and Silver Dollar City. 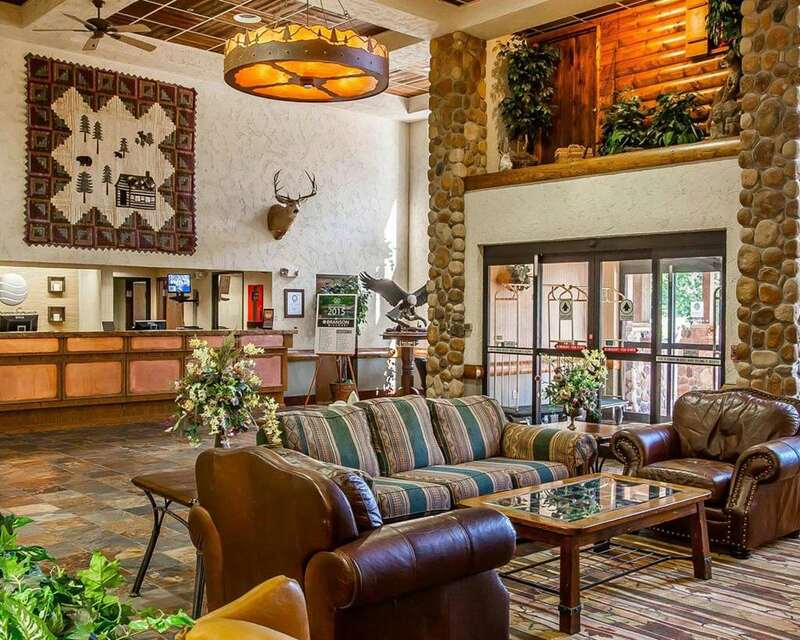 Amenities include free WiFi, free ample parking, free hot breakfast, fitness center, sauna and indoor heated pool. Behind every great day is a great night in your guest room, which features a refrigerator, microwave, coffee maker and HDTV. Also, earn rewards including free nights and gift cards with our Choice Privileges Rewards program. All debit cards charged upon check-in.